This is a write-up for braintree challenge, which is the last part of 3-chained pwnable challenge from Boston Key Party CTF last weekend. You can read about the other parts here: quincy-center, quincy-adams. The binaries were packaged into a tar ball. The goal is to get “tz” flag by exploiting the kernel space process. If you haven’t read the previous write-up for quincy-adams, I strongly recommend you to read before continuing with this one as we will assume knowledge gained from it. As it was mentioned previously, we will be using the same primitive: hypercall #92. We started looking at each of the hypercall handlers in tz. Then, we stumbled upon hypercall #85. 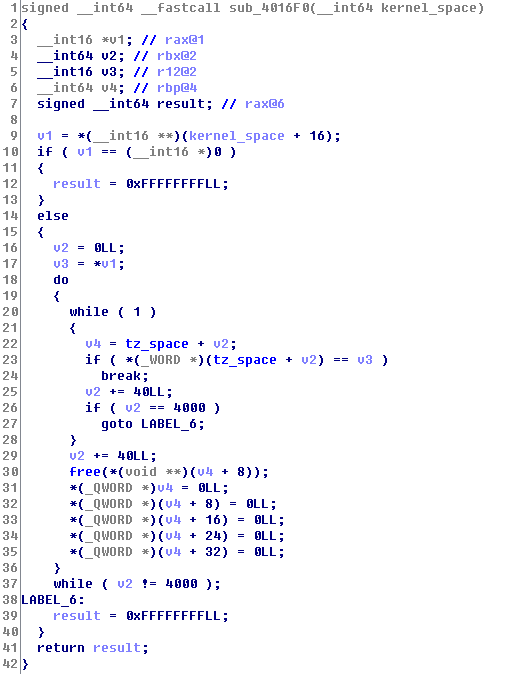 This function seemed like some sort of cleanup (we called it delete_op in our shellcode) function for an object used in tz. It seems like the first argument (v3) is a word that represents id of some sort, but the important thing is that we can control its value. v2 is an offset to the tz data structure, and the value at tz_space + v2 (where v2 is 0) is 0. Leak out libc address, so we can calculate the address of system. Overwrite free (.got.plt in tz) with &system. Overwrite contents in v4 + 8 (aka, tz_space + 8) with a pointer to our command buffer. ; yay we are in kernel!!! At first, we were over ~10 bytes, but once we have “optimized” a little bit, we finally got our payload to be 254 bytes! Note that we are not using the same shell.asm as before (our new payload is now called shell.asm). However, we can continue to use the same stage1.asm and the python script from kspace exploit. For convenience sake, it is also attached here. 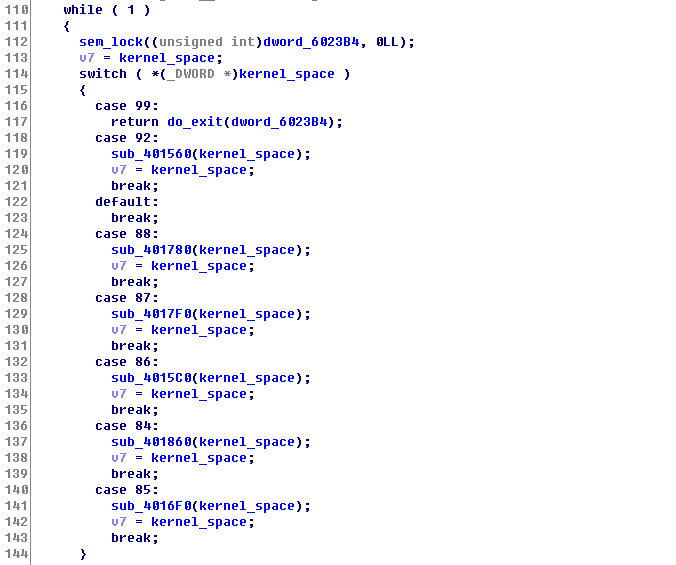 We have abused the hypercall #92 (encrypt) to exploit both kspace and tz, but there may be another way to exploit kspace without going through the hypervisor. Thank you for reading, and happy hacking! This was so much helpful. Thank you very much.